Discussion in 'Luthier's Guitar & Bass Technical Discussion' started by HouseofLeaves88, May 9, 2016. I've done a little bit of research and mostly the answers I get are in reference to completely removing the finish or stain of a guitar so I'm just wondering about altering I guess?? I raise this question because I had a guitar cab that just had stained wood on the sides, and when it got scuffed the builder told me to just touch it up with (insert name brand wood staining product) and it would be fine. You can't really stain over the guitar because it is finished and the stain will just wipe right off of the finish. Stripping it is one way. The other less invasive way is called shading lacquer. It is color, usually aniline dye mixed in to a clear lacquer. You spray the guitar until you get the color you like. You'd then need to clear coat, level sand, and polish for a high gloss "factory" finish. Spraying shading lacquer is pretty difficult to do right. You can run into a muriad of problems with modeling and striping being a couple. Do you have spray equipment? Touch up is one thing......changing the entire appearance and having it withstand actual use and playing is another entirely. The only way to get to the ebony finish from faded brown is a complete strip and refinish. At least if you want something that will last. My advice...trade your brown LP for one in the col.or you want. Yeah, unfortunately that's not gonna happen. After a bit more research I realized I have a 2002 Les Paul Studio, before they started doing the drastic weight relief in 2006. 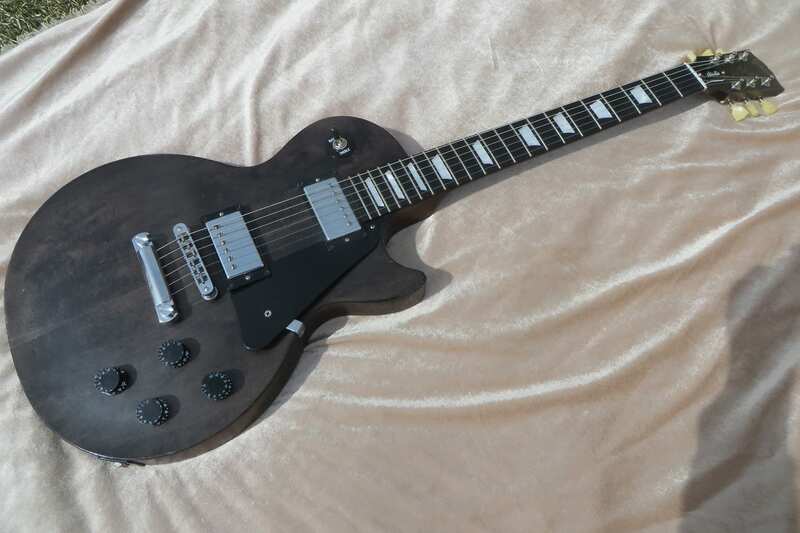 The "ebony" faded Les Paul Studios started coming out in 2009 and are about a pound lighter than my guitar. The other guitar player in my band lives with a guy who has a faded studio that came out after they started chambering them. I hated the way it felt the couple times I tried it. 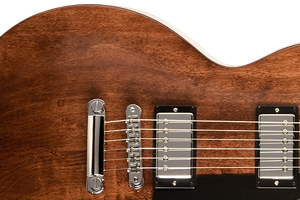 Cosmetics issues are not enough for me to ruin my guitar, or trade it for an inferior product.